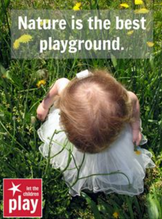 What is a "natural playscape"? A natural playscape is a play area that is created with as few man-made components as possible, and offers a wide range of open-ended play options that allow children to be creative and use their imaginations. Natural playscapes promote self-directed play, discovery and exploration, and provide a space where children can interact with natural elements such as sand, water, wood and living plants. Think about the best playspaces when you were a kid. Did you picture a woody area or stream or park? Did you climb trees? Hide behind bushes? Skip stones across water? Pick flowers or make mud pies? 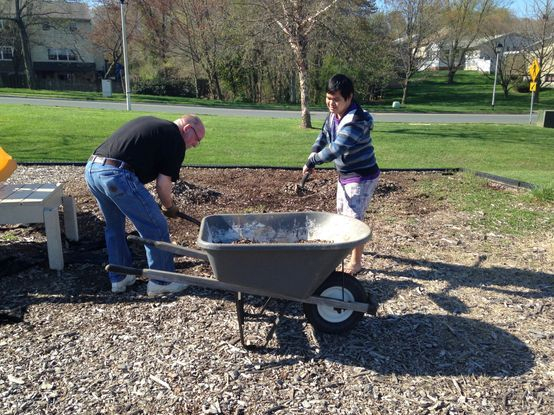 Many adults will admit that nature offers the absolute best play space for children. 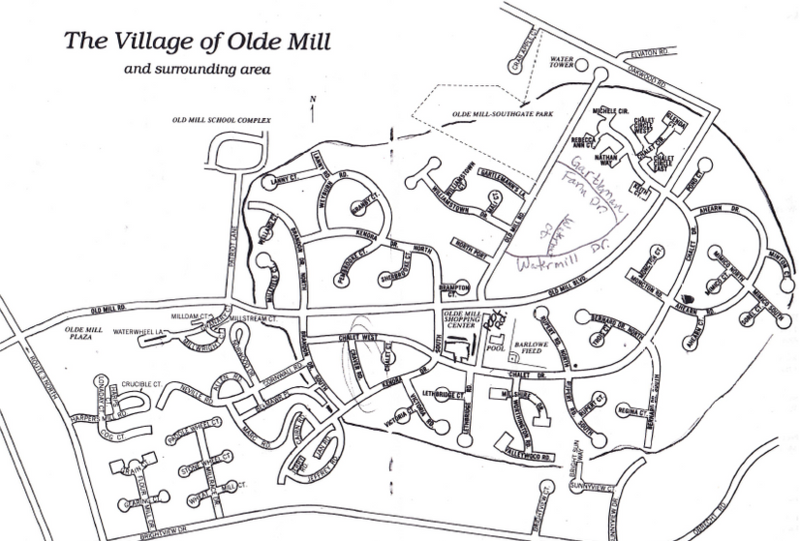 So, why not create a natural playscape at Olde Mill?! Check out our unique natural playscape design from Abundant Playscapes below! Download the PDF to your computer here for easier viewing. It may be difficult to see the small print, but you can check out the design elements in the slideshow under the design. 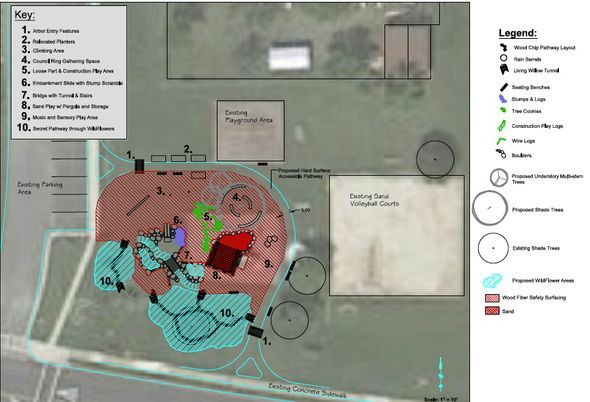 Look below to see the overall plan of what our playscape will look like when we finish. Why go the natural route? The National Wildlife Federation took a stance on why we need to connect our children to nature (source). Are you curious to see what other natural playscapes look like? Click here to see some very creative, successful playscapes!